One of my favorite food storage recipes on this blog has to be these Blender Wheat Waffles. Not only because they are fantastic, but because they are one of the best ways to use your whole-kernel wheat without having a wheat grinder. Many people store wheat but haven’t invested in an expensive wheat grinder. and don’t know what to do with it. Well, this recipe is for you! 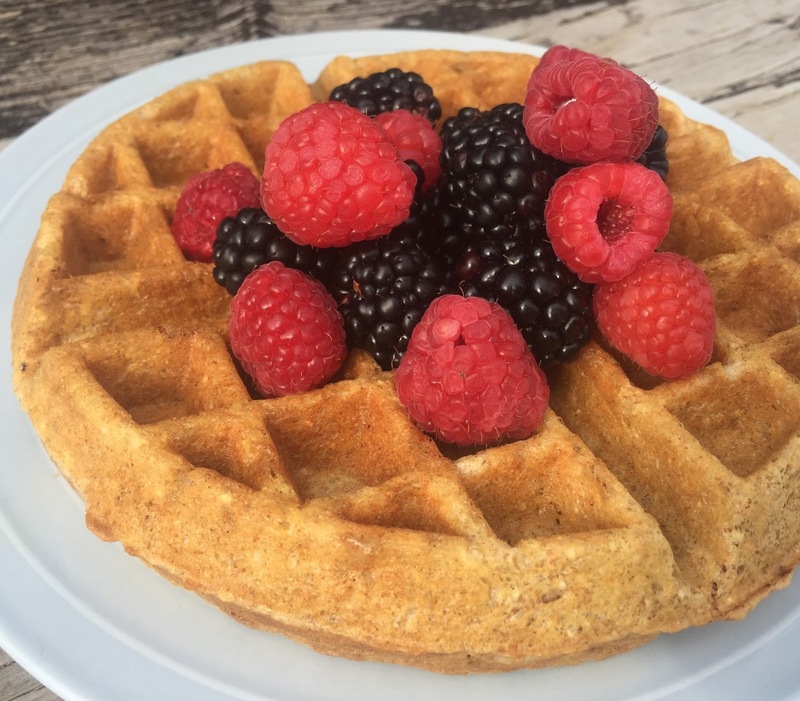 And even if you have a wheat grinder, but don’t want to take the time to grind the wheat into flour, these Blender Waffles are a super, simple way to add some whole grain goodness into your daily diet. These waffles are also great to make up several batches and freeze them for later. My kids love to pull these out on a busy morning and are grateful to have a warm breakfast before they head off to school. I can’t wait for you to try this recipe. Put the wheat kernels, water and powdered milk into a blender and blend on high speed for 3-4 minutes, or until kernels seem to be smooth. Then add the eggs, salt, sugar, baking powder, baking soda, oil and flour to the blender. Blend for another 1-2 minutes on low until batter is incorporated. Pour into a greased waffle iron or griddle and cook until waffles are ready to serve.